Archivist Francesca Hillier takes us behind the scenes for a closer look at what's in the Museum's archives. Deed of bargain and sale of Montagu House, 5 April 1755. The British Museum’s Central Archive holds the business and governance records of the Museum. This includes all records relating to who the Trustees are, how they are appointed and how they run and manage the Museum. The Archive has everything from the Deed of Trust which passed ownership of Hans Sloane’s collection to the Trustees in 1753 and property deeds for the ownership of Montagu House (where the Museum’s collection was originally housed) and the surrounding land, to acquisition records for objects in the collection and records for admittance as a reader to the Reading Room. 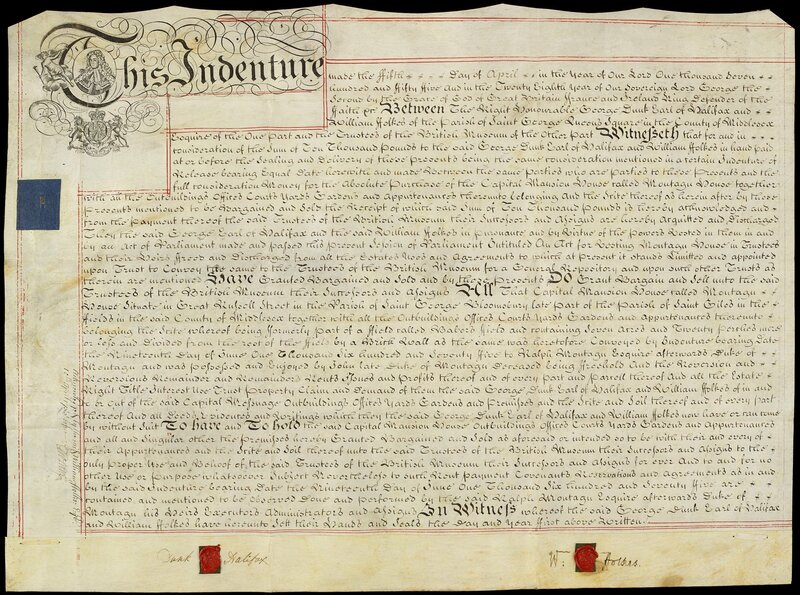 This property deed is from 1755 and relates to the land on which Montagu House was built. The Trustees of the newly founded British Museum were looking for a suitable building to house the collection. They bought Montagu House for £10,000 and this deed of ‘bargain and sale’ records the purchase. 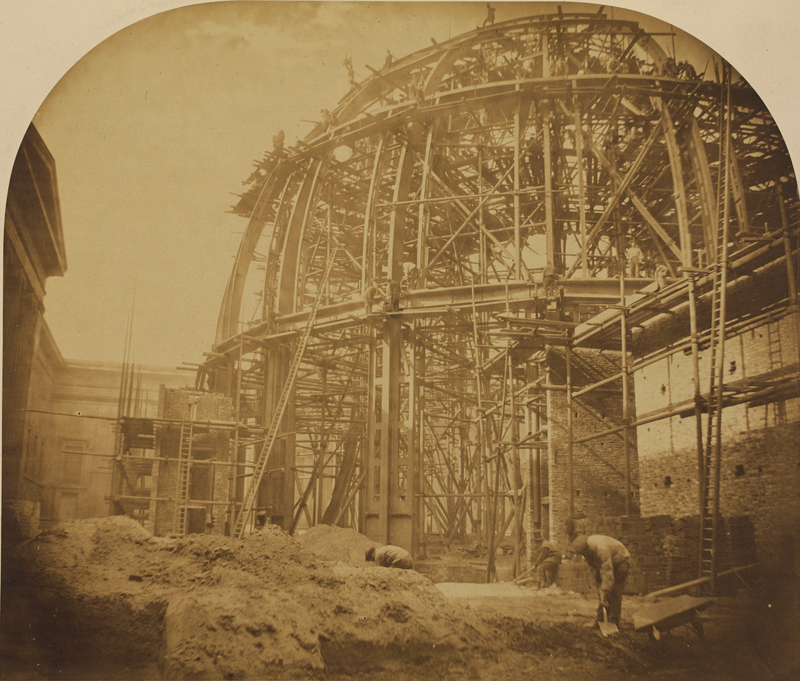 Moving into the 19th century, here’s a photograph taken during the building of the Round Reading Room in 1855. Construction of the Round Reading Room. Photograph by William Lake Price, 1855. This is a ticket for the opening of the Round Reading Room in 1857, with a plan of its layout on the reverse. 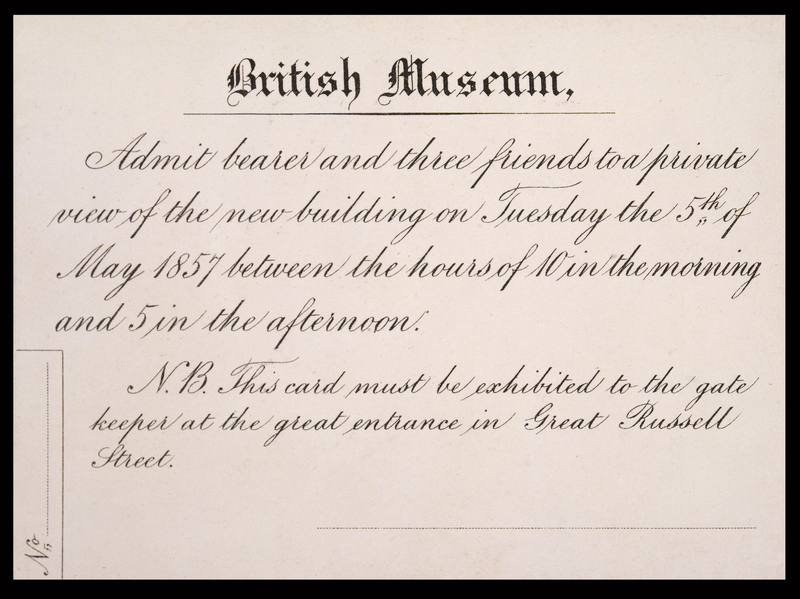 Invitation to the opening of the new Reading Room, 5 May 1857. 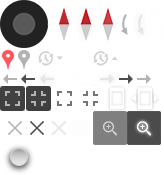 The reverse of the ticket had a plan of the new space. The archive also holds many readers’ applications which include records for important literary figures like Oscar Wilde, Mark Twain and Bram Stoker. 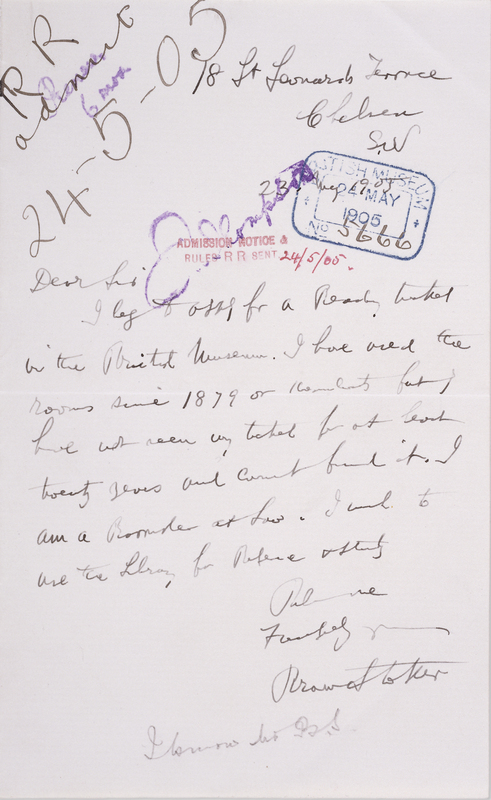 Bram Stoker’s application letter for a reader’s ticket, May 1905. There are many photographs that reflect the Museum’s ever-evolving history, from the building of the Round Reading Room, to the construction of the Great Court. Some of the earliest were taken by the Museum’s first photographer, Roger Fenton, in 1857. This one is designed to be viewed through a stereoscopic viewer (we have one of those in the Archive too!). 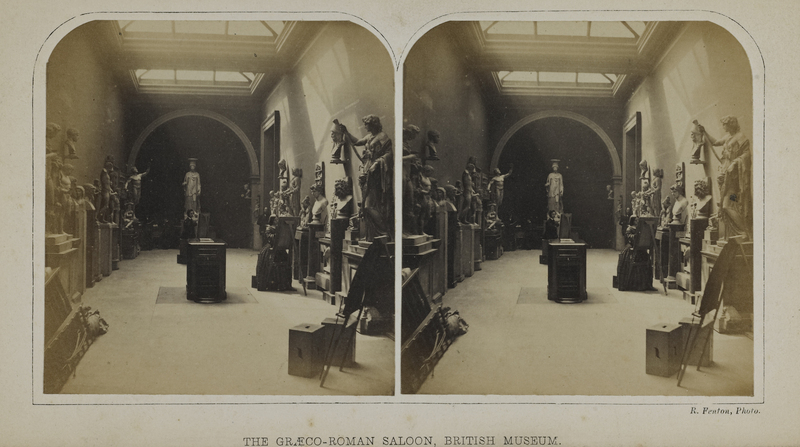 A stereoscopic image of the Greco-Roman Saloon on ‘Artists’ Day’. Photograph taken by Roger Fenton, 1857. We also have records relating to artists gaining permission to come in to the galleries and paint – this is what was being captured in the Roger Fenton photo above. 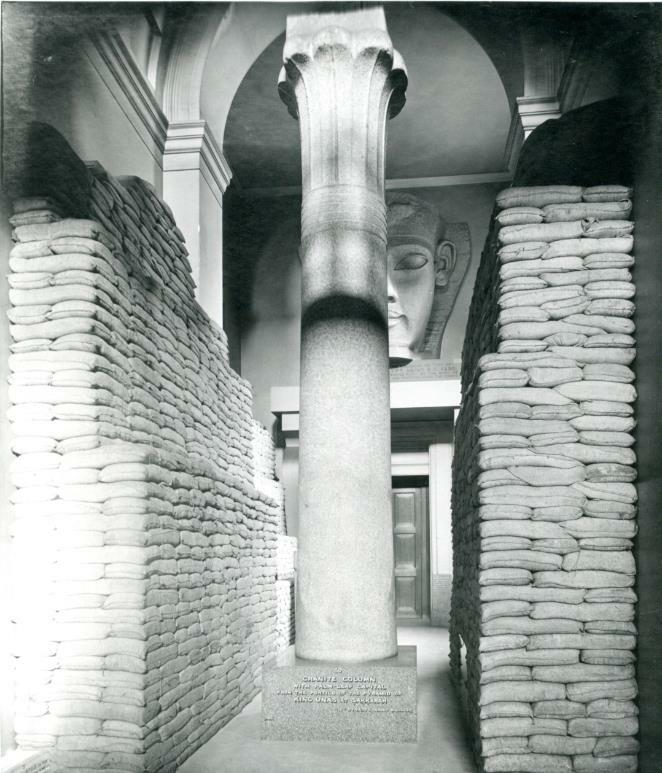 Sandbagging of objects in the Egyptian Sculpture Gallery to protect against the threat of air raids during the First World War. 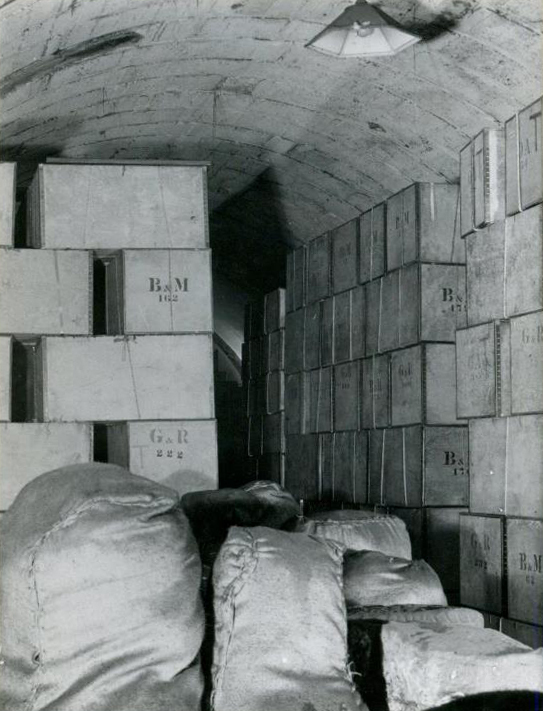 There is an extensive collection of archive material relating to both world wars, including the protection of the Museum and its objects through sandbagging (in the First World War) and removal (in the Second World War). Storage of objects in Aldwych Tube Station, 1939. We even have the remains of an incendiary device which was found in the rubble after a bomb hit the Museum in 1941. Books drying out in what is now Room 33 after water damage from putting out the fires caused by bombs in 1941. So most things you’ve ever wanted to know about the British Museum and its history should be found here in the Central Archive! 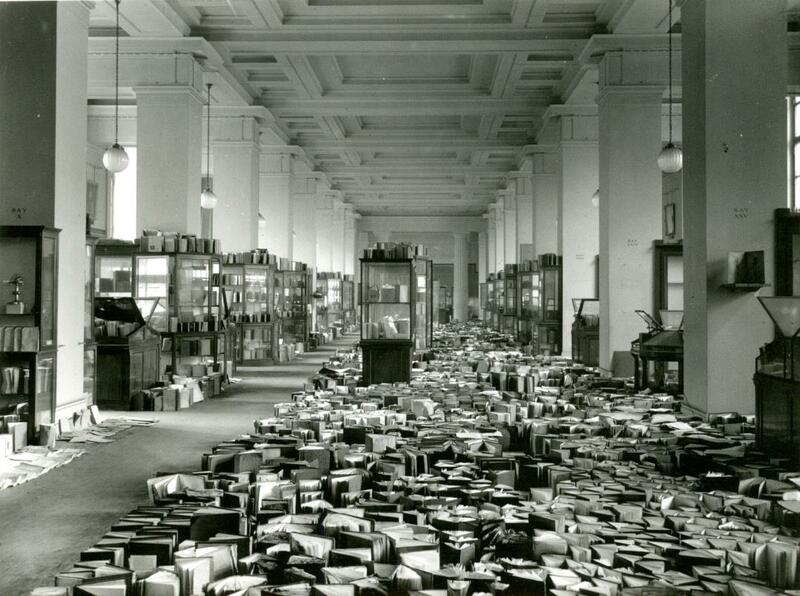 If you want to contact the Central Archive, email centralarchive@britishmuseum.org or call +44 (0)20 7323 8224.